I’ve been slacking! 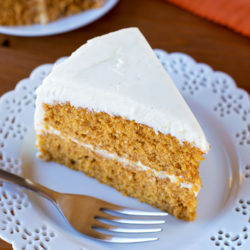 It’s already half way through September and this is my first pumpkin recipe of the season! But it’s totally worth the wait, I promise! 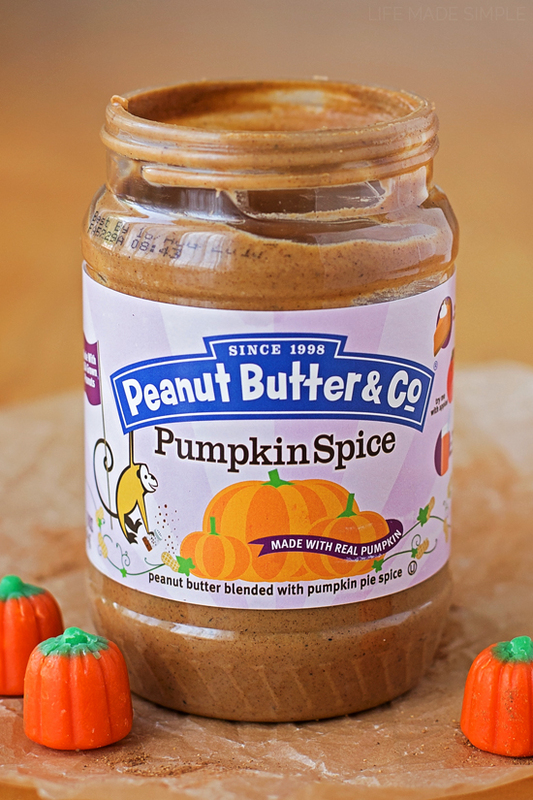 Sooo… the Peanut Butter & Co. just introduced their newest peanut butter: Pumpkin Spice Peanut Butter. Yesssss. If you’re like me and love anything and everything pumpkin, you’ll definitely want to grab a jar of this fall flavor- it’s heavenly! I decided to crack mine open the other day and enjoy a few spoonfuls before using some in these protein-packed flourless cookies. 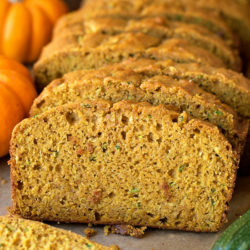 I love the subtle pumpkin flavor and how it’s spiced to perfection! 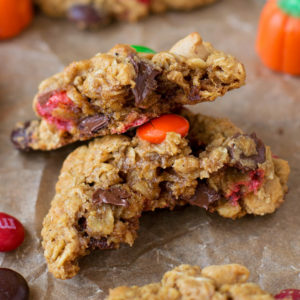 I used a hefty 3/4 cup of it along with a 1/4 cup of pumpkin puree to give my gluten-free monster cookies a fall twist. If it sounds like an odd combo, I promise you it tastes really really good. I made some pumpkin oatmeal cookies a few years back, and well, they never made the blog. 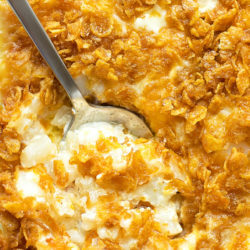 However, this recipe is perfect! 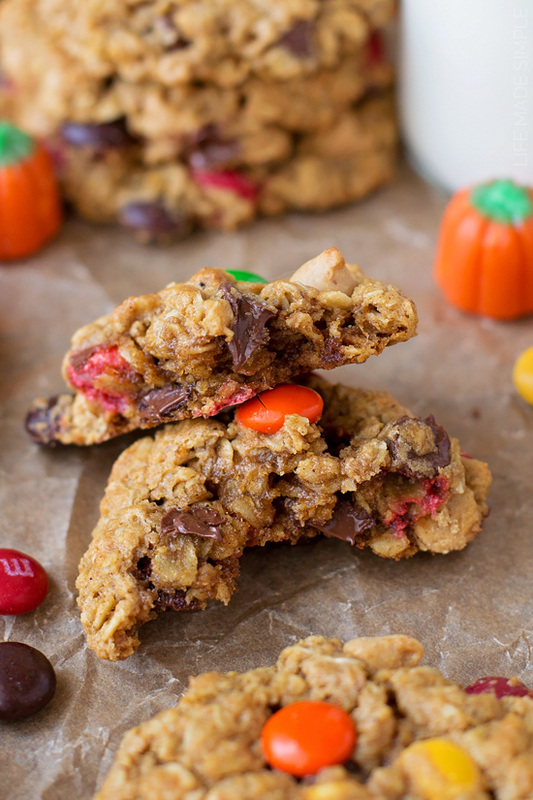 The cookies are thick & chewy and the pumpkin only adds to it. The spices from the peanut butter go perfectly with the oats and the chocolate ties everything together. I mean look at those cookies, they’re bursting with chocolate chips, peanut butter chips and M&M’s. How could you not like them?! Making these bad boys is a breeze. No funky ingredients… just one special one (the peanut butter)! P.S. 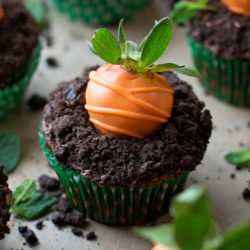 see my notes on how to make these using regular peanut butter. The hardest part is waiting for the dough to chill. I find it’s a necessary step. Allowing the dough to rest in the refrigerator lets the oats absorb excess moisture which helps the overall texture and structure of these cookies. I guess that’s the downside to gluten-free cookies. Just do the dishes and get your glass of milk ready, because as soon as these come out of the oven, you’re gonna want one! Our family fell in love with these thick & chewy flourless pumpkin spice monster cookies, I hope yours will too! 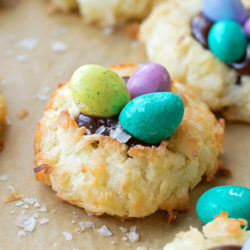 Enjoy & happy gluten-free baking! 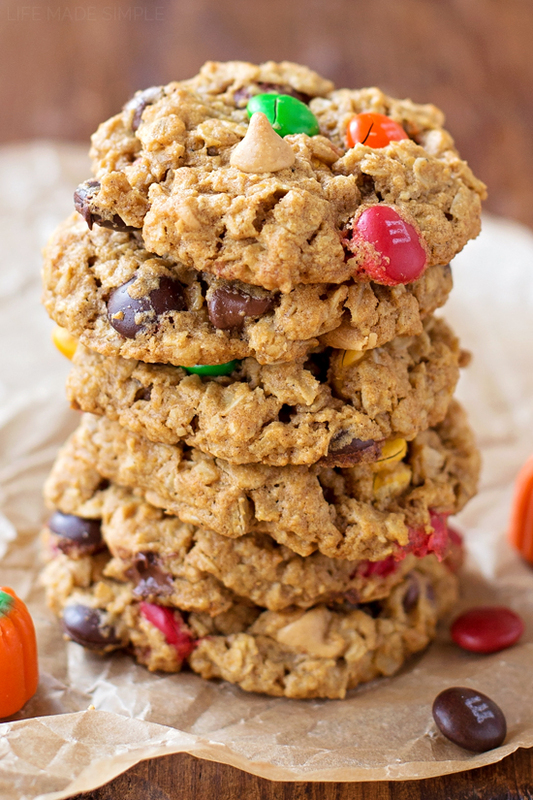 These gluten-free pumpkin spice monster cookies are so thick and chewy you'll be amazed that they are flourless! 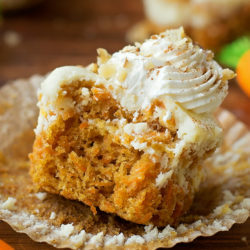 They've got the perfect hint of pumpkin and spice in each bite! Line baking sheets with parchment paper or Silpat mats, set aside. 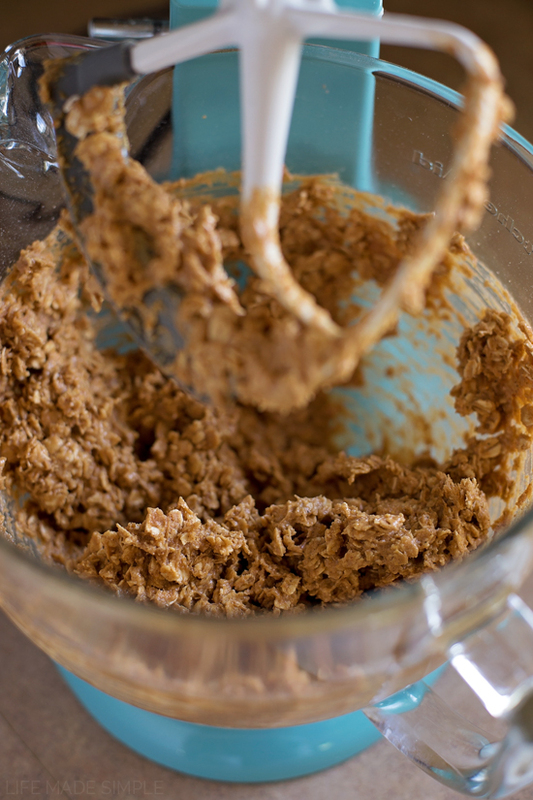 In the bowl of a stand mixer, cream the butter, peanut butter and sugars until light and fluffy, about 2 minutes. Add the pumpkin puree and vanilla, beat for an additional minute. With mixing speed on low, add the egg, mixing until incorporated. 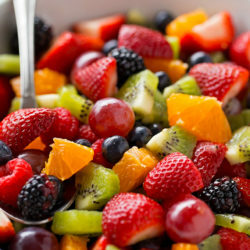 In a medium size mixing bowl, combine the oats, baking soda and salt. Whisk together. With mixing speed on low, add dry ingredients, mix until combined. Remove bowl from stand and fold in M&Ms, chocolate chips and peanut butter chips. Place dough in the refrigerator to chill for 1 hour. Remove dough from refrigerator and allow to stand at room temperature for 10 minutes. Meanwhile, preheat oven to 350 degrees. Scoop cookies onto the prepared sheets using a standard size scoop, gently pat down to slightly flatten. Place in oven and bake for 10-12 minutes (they will look soft) before removing from oven. Allow to cool on sheets for 3 minutes before carefully transferring to a wire rack to cool completely. *Please make sure that your oats are gluten-free. Bob’s Red Mill oats are certified gluten-free, Quaker Oats are not guaranteed to be gluten-free. **Make your own by using ¾ c. creamy peanut butter and ½ tsp. 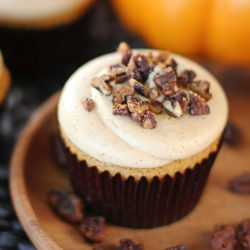 pumpkin pie spice. -DO NOT SKIP parchment or a mat… seriously, it really is a key part to making these cookies bake perfectly! Also be gentle with the cookies when you are transferring them to the rack to cool, they will probably break apart a little, but just push them back together and let them cool for a good hour or so and they’ll be firm and sturdy! 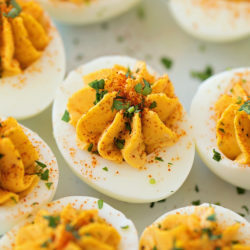 oh yummy these look amazing!